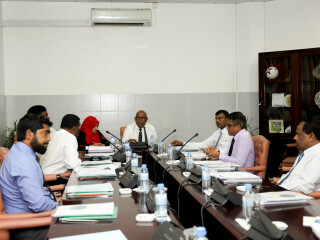 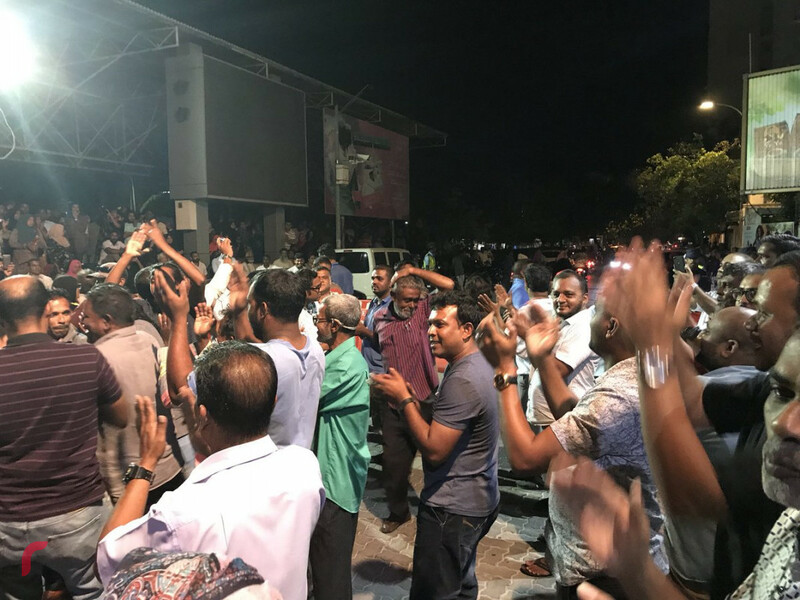 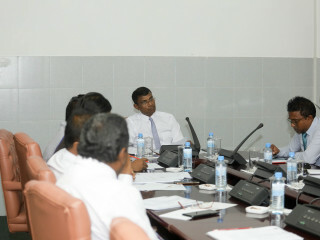 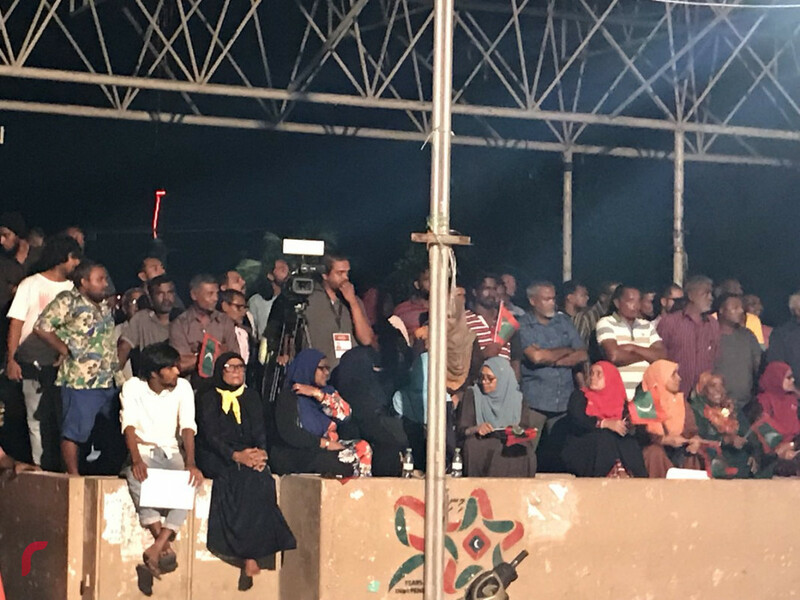 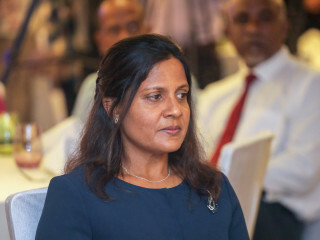 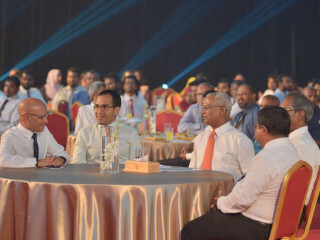 Opposition coalition members gather at Maldivian Democratic Party (MDP)'s campaign hall near Artificial Beach to call on authorities to abide by the initial Supreme Court order from February 1, 2018. 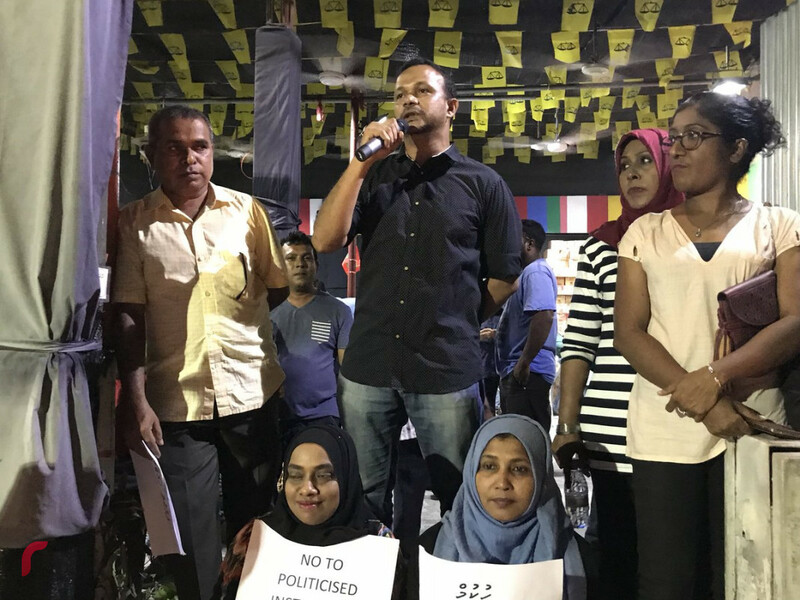 February 9, 2018: Opposition coalition members at MDP's campaign site, calling on authorities to abide by the initial Supreme Court order from February 1, 2018. 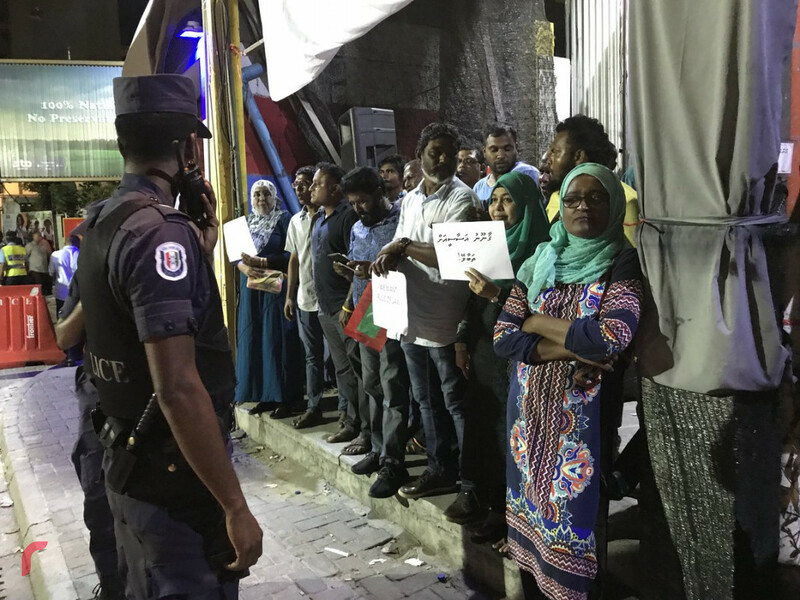 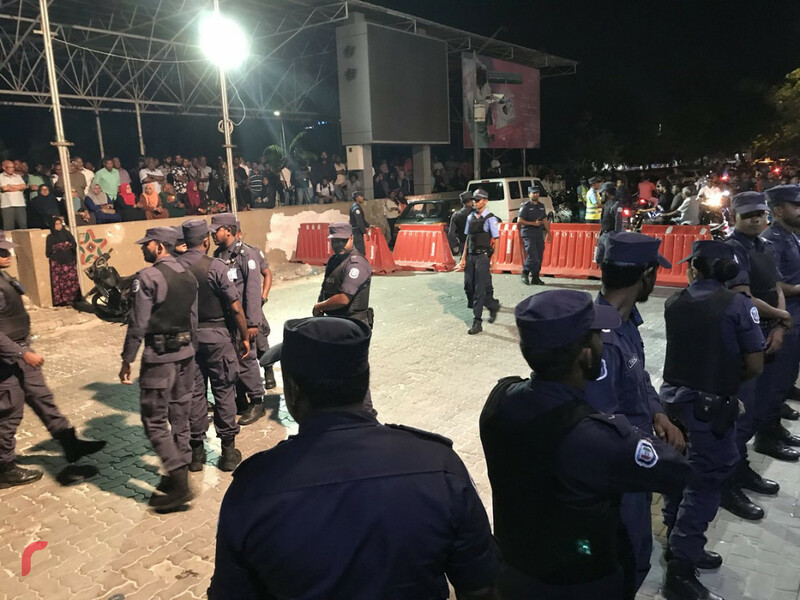 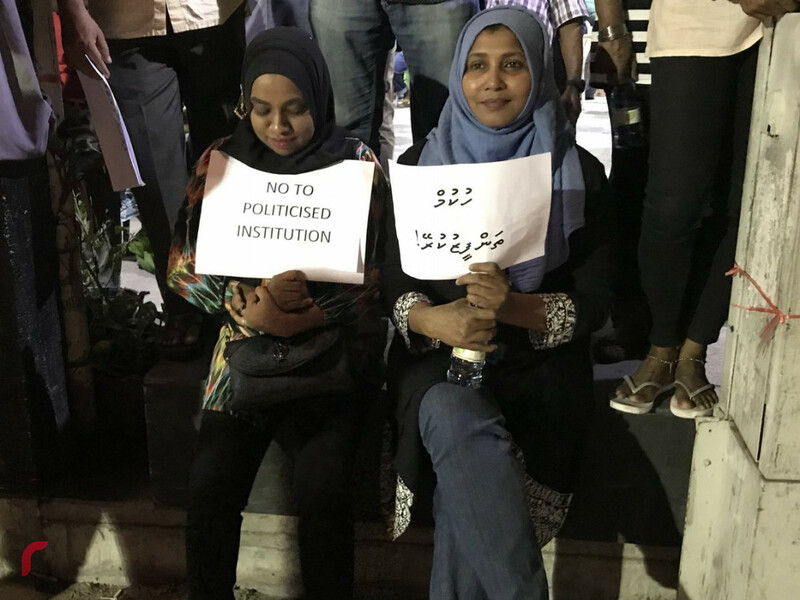 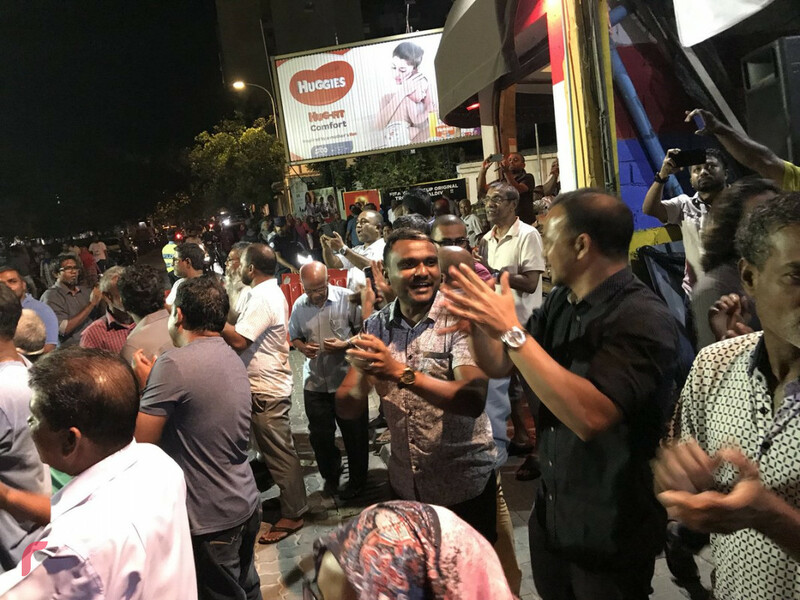 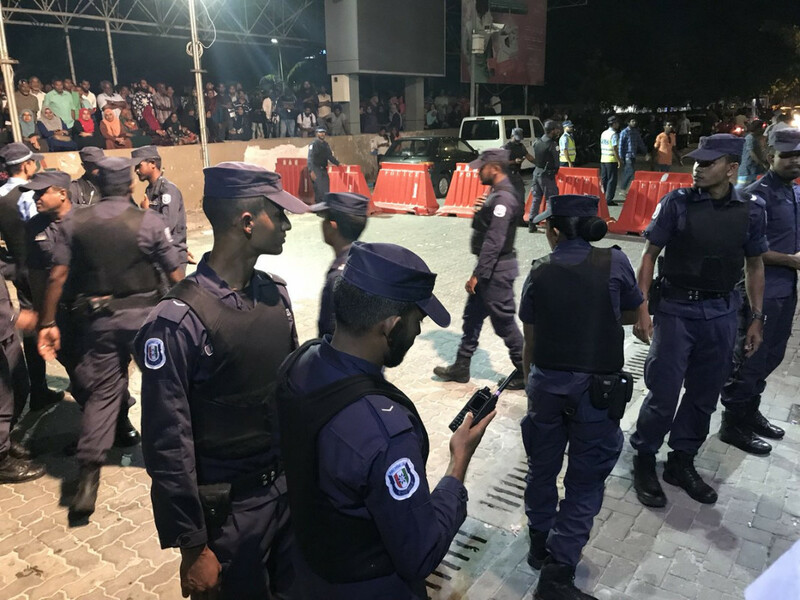 February 9, 2018: Opposition coalition members at MDP's campaign site, calling on authorities to abideby the initial Supreme Court order from February 1, 2018.